Inverclyde Council has awarded a £185.000 contract to pave the way for free public Wi-Fi in Greenock creating one of Scotland’s first SmartTowns. The investment is part of a £1.9million package of funding to support regeneration in the town centre. Capita has been awarded the £185,000 contract to develop Smart Town connectivity by Inverclyde Council on behalf of the Greenock Town Centre Regeneration Forum. “We are delighted to support the digital transformation strategy for the area through the delivery of Smart Town technology for Greenock town centre." 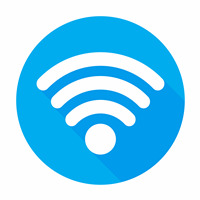 The Public Wi-Fi service was identified as a priority project in the 2016 Greenock Town Centre Charrette Report and will be capable of extending into additional areas to deliver a seamless user experience for residents and visitors from Greenock Ocean Terminal. The Smart Greenock project started in July 2018 and is expected to be in installed by the end of autumn 2018. The £185k is part of a wider £1.9 Million provided by Inverclyde Council to support regeneration across Greenock town centre.